Lincoln has announed pricing levels and more details for its sleek 2013 MKZ sedan, and for the 2013 Lincoln MKZ Hybrid. Continuing a trend started by Lincoln with the last MKZ, the hybrid sedan will cost no more than the regular gasoline version, with both starting at $35,925, excluding the $875 delivery and destination charge. That allows the MKZ hybrid to significantly undercut one of its closest rivals, the 2013 Lexus ES 300h. The ES 300h costs nearly $3,000 more than the Lincoln, and represents a significant extra investment over the non-hybrid ES 350. That, says Lincoln, is why 72 percent of its hybrid buyers are new to the brand, in the last year alone. 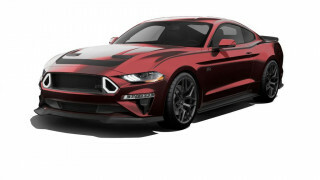 The new model will be loaded with equipment, including Lincoln Drive Control, which connects the car's stability and traction control systems, steering, and damping. Buyers also get SYNC with MyLincoln Touch driver connect technology, LED head- and tail-lamps, and push-button start. The MKZ also uses a push-button shift system, removing the traditional shifter in favor of conveniently-located buttons on the dash. Options like panoramic glass roofs, high-end audio systems and 19-inch wheels are also available. Hybrid buyers also get SmartGauge with EcoGuide, Lincoln's take on coaxing drivers into more fuel-efficient driving, with the obligatory tree-growing animations. Helping you to grow those trees is a 2.0-liter Atkinson-cycle four-cylinder gasoline engine, attached to a 70-kilowatt electric motor. Together, these produce 188 horsepower, and the electric motor can handle speeds of up to 62 miles per hour without the gasoline engine kicking in. No official fuel figures have yet been released for the 2013 MKZ Hybrid, but the regular 2.0-liter EcoBoost is projected to reach 22 mpg city and 33 mpg highway. The current 2012 Lincoln MKZ Hybrid achieves 41 city, 36 highway and 39 combined. 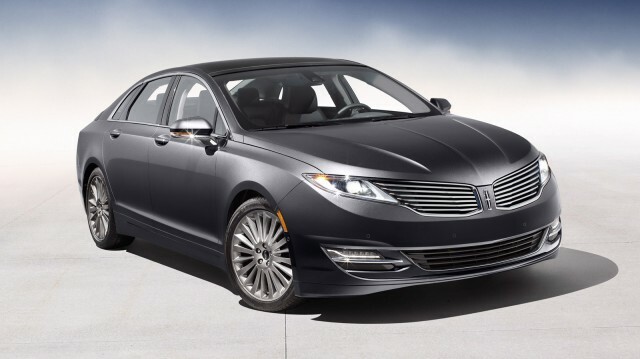 The 2013 Lincoln MKZ will hit Lincoln dealerships in late fall.